Though organic agriculture currently occupies a surprisingly low 1% of global cropland, several agricultural studies have recently favored organic systems over conventional systems in terms of profitability, crop yields, and environmental safety and health concerns. Rodale Institute has conducted one of the most substantial studies of organic and conventional agriculture. The Farming Systems Trial consists of more than 30 years worth of side-by-side comparison of conventional chemical based systems vs organic manure based and legume based systems. The findings were impressive; organic yields consistently match conventional yields, even outperforming those yields during times of more moderate drought. Organic systems also build soil matter, making it more sustainable versus conventional systems’ tendency to deplete it. Not only does organic farming use 45% less energy, but it also produces less greenhouse gas emissions. The evidence of the profitability of organic systems in this, and many other studies, cannot be argued. Profitability is determined by many factors; crop yields, labor costs, price premiums, and cost savings. Not only do cost savings due to reduced usage of nonrenewable resources and chemical pesticides increase profitability of organic crops, but cost-benefit analysis shows that it also helps to offset increased labor costs due to the need for manual labor versus mechanical labor that organic systems present. With this in mind, the need for manual labor presents a huge advantage not only for organic agriculture itself, but economically through job creation as well, providing 30% more jobs in rural areas. Price premiums also make up for increased labor costs while adding to the profitability of organic agriculture. Studies show that while typical price premiums for organic crop products in the US are 30% or greater, profitability consistently matches or surpasses that of conventional systems even at 5-7% premiums. Though profitability is high even without price premiums, studies showed that the riskiest time for farm owners is the average 3 year transition period when switching from conventional to organic systems, when initial increase in labor costs and lack of premiums during this time pose a limiting factor, causing some financial instability. Ecologically, organic systems once again outshine conventional systems. Not only did soil health increase over time in organic systems, but carbon levels also increased, particularly in manure based systems. 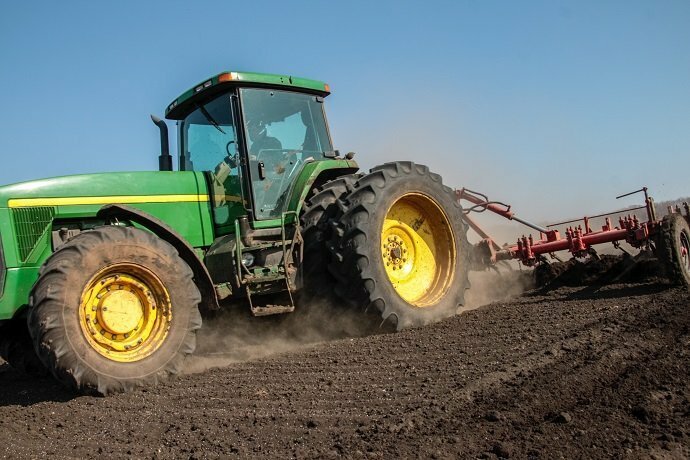 Carbon is an extremely important component of soil composition, acting as a reservoir for plant nutrients, helping to maintain soil temperature, and benefiting overall soil health. Organic soil also stored water more efficiently and reduced runoff. Conventional systems showed a decrease in soil health and carbon levels, and did not store water efficiently, producing runoff and depleting soil health over time. Human Health concerns also came into play in Rodale’s trial. Organophosphates used in pesticides were found in urine samples in children, cord blood in infants, and in breast milk. Not only do these chemicals cause developmental delays in children, but some animal studies suggest that they can cause DNA damage, low sperm count, testicular cancer, and even infertility in males and females. Furthermore, the organophosphates that were found in urine samples of children disappeared after a period of time on a strictly organic diet. Rodale’s FST trial combined with the findings from more than 44 meta analysis studies prove that organic agriculture is overall more profitable, more efficient, and more ecologically favorable than conventional agriculture.